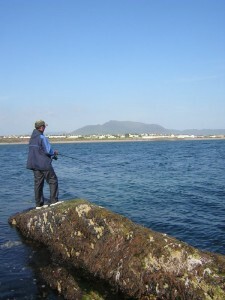 The Iveragh Peninsula is a haven for both the angler in pursuit of sea fishing or freshwater game fishing. The peninsula boasts a mountainous and majestic landmass with large storm beaches, rocky shorelines, deep-sea marks and countless lakes and rivers, which are noted for their Atlantic Salmon, Sea trout and Brown Trout. The Iveragh Peninsula holds the famous Valentia Island, and the main charter ports of Caherciveen, Portmagee, Knightstown and Derrynane but it also includes sheltered marks on the Kenmare River- which is not a river just the Kerry name for a large oceanic Bay! The sheer variety of shore fishing in Kerry is the main problem – what to do next, and the good news is a sheltered mark is always available regardless of the wind direction. For the shore angler Bass, Mackerel, Flounder, Wrasse and Pollock are the main quarry with saltwater fly-fishing, a popular and increasing activity for Bass, Mullet and Pollock. Deep Sea angling is a popular activity in the area with Mackerel, Conger, Ling, Cod, Skate, Bullhuss, Spurdog and Blue Shark. There are numerous boats for hire and all the skippers have many years of experience. There are a number of local guides who specialise in Salt Water Fly Fishing and there are numerous areas where excellent fishing can be accessed. 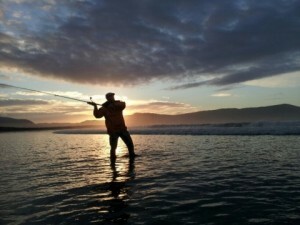 Following huge and growing popularity in America, saltwater fly-fishing is undergoing a renaissance in Irelandand other parts of Europe. Without doubt, Iveraghs golden strands and rocky reefs offer the lure and flyfishing angler the best chance ofsuccess. Irish bass stocks are in good shapeand with enlightened fisheries management policies in place, will hopefully remain that way. Bass are better protected by law and public opinion inlreland, than in any other European state. Iveragh offers the bass fisherman the chance of a specimen bass on fly and fish of over 10lbs are taken each year. Moving to freshwater, Iveragh boasts some of the finest Atlantic Salmon, Sea Trout and Brown Trout angling opportunities in Ireland.With our mild climate producing rain at regular intervals our migratory gamefish run in numbers and are presently undergoing a remarkable upsurge in numbers with all interceptory netting banned. Here is the most westerly and deserted surf fishing beach in Europe! A lovely spot, it is acquiring new holiday homes so expect it to be busy in the summer. Species & Techniques: Flatfish are the main catch on the beach, with the possibility of a specimen Bass in the surf. You can also fish off the rocks on either side for Pollack, Triggerfish and Mackerel in the summer, with Conger and the odd Huss also taken from legered baits. Some Mullet taken here also with groundbaiting advised. The main quarry here is Bass and you will need decent surf running to get them quartering the beach. Try half a mackerel on a 4/0 as bait as it will last longer than softer baits… there are lots of crabs. If you do collect some, crab would probably prove excellent bait, especially if legered near the rocks on either side of the strand. Flatfish will also show themselves but more so in calmer conditions. Although no Rays are recorded here, a warm night might provide some entertainment. Further along on either side, you can fly-fish and spin for Pollack, Mackerel, Garfish and Triggerfish will show here later in the summer. It will also produce massive numbers of Wrasse, with Conger and the odd Bull Huss prone to take larger baits legered at low tide, especially at night. At high tide you can fish off the grass and rocks, however wading would be a good idea as it is remarkably shallow. Probabilities: Flounder, Bass, Dogfish (beach), Pollack, Wrasse, Mackerel, Garfish, Tripperfish (rocks, summer) Conger Eel, Bull Huss. Coming in towards Waterville, you traverse an estuary and Inny Strand. 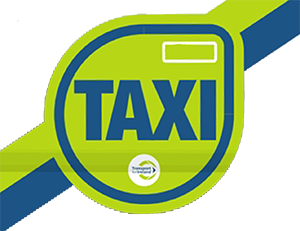 Near the estuary is the main mark, and you are best to park near the golf club and walk the rest of the way.. Species & Techniques: Flounder and Bass are the main priorities for surf fishing anglers and bear in mind that the main beach is likely to be as good a bet for surf fishing as the estuary. The odd Ray is also reported off the beach away form the estuary, at night and in the height of summer. Another pristine beach, popular with families during the daytime and in summer… the chances are you will have it to yourself any time outside of July and August! A river drains Lough Currane to the south of Waterville town, so it is quite possible that Sea Trout and Salmon would be available to the enterprising angler. Flounder, Plaice, Dogfish and Bass are the main species mostly caught surf fishing just below the car park. It has the obvious benefit of food, drink and lodgings being available within a stone’s throw of the mark. It is noticeably steeper than the usual beaches in Kerry and the rocky outcrops will interest Bass at low water. It looked a very attractive proposition – ask Tadhg O’Sullivan in town. My thanks to Malcolm Gilbert for the corrections. This is very mixed ground and often extremely deep – Codling feature on the list here as do Flounder and Dabs, Pollack, Conger, Wrasse and Mackerel. Bring plenty of junk leads and lots of bait.